Mona Evalyn Armstrong Meredith was born on May 26, 1949, to the late James Estes Armstrong and Johnetta Smith Armstrong. Mona was the second-born of three children born to this union. Along with her two sisters, Mona was raised by her grandmother, the late Eva Armstrong in Pasadena, California. At a very young age, Mona gave her life to the lord and became an active member of First A.M .E.Zion Church Pasadena. It was here where she began to work in the church and fostered a passion for Christ and serving Him. Mona attended boarding school in Louisiana at Holy Rosary Catholic School. before her passing, Mona was blessed to have traveled back to Louisiana to celebrate her 50th class reunion and to reconnect with her former classmates. After attending Holy Rosary, Mona returned home to finish her high school education at Pasadena High School, where she was apart of the first class to be integrated with both black and white students. Mona continued to beat the odds and achieved local historic victory when she became the first Black pep Squad Commissioner at her high school' Mona was very proud of this milestone. She was also blessed to attend her High School reunion last year to celebrate fond memories and friendships with her former classmates. After graduating from high school, Mona took on several jobs such as camp counselor and working with at-risk teenage boys at a group home. Mona later received her g.A. in Liberal Studies at Hayward State University in 1979. On August 8th, at the age of 23, Mona gave birth to her first daughter, Erica Ramona. Several years later, Mona relocated to Oakland California where she met the Late Rev. Clematee Mario Meredith Jr. They later married on February 9, 1980, and together birthed four more children. Rev. Meredith proceeded Mona in death on November 29, 2010, after 30 years of marriage. Mona was always an active member of theA.M.E. Zion church, with a passion for children and Christian Education. She served as the Sunday School Superintendent at Kyles Temple, Sacramento, and St. Stephen A.M .E.zion Church. She faithfully served as a local, district and conference Christian Education Director for the California Conference. She served as the first lady to her husband Rev. Clem Meredith at St. Stephen for ten years and remained a faithful member there until her passing. Mona would fill her van up with children and youth to get them to Sunday worship service and meetings. She enjoyed putting together eventful Vacation Bible Schools in the summer. Mona chaperoned several Christian Education Mid-Winter meetings and other ministry driven programs and events. Mona hosted revivals and youth retreats for the Central Valley District. Her recent ministry work included continuing New Covenant Discipleship Ministries, a community-based non-profit that was birthed under her late husband. She worked to continue the FaIl Revival that was started over 20 years ago. Mona was also an active parent at her children's school and later was employed by the Elk Grove School District working with foster Children who were struggling to graduate from high school Mona was a Band Mom and a Theatre Seamstress for her children's school activities. After her husband's death, Mona continued to live a full life. She joined Toastmasters and won several awards for her speeches. She retired in 2011 and began to travel with her children and grandchildren to the beach, Alaska, Georgia, Washington, and North Carolina. She remained physically active by joining a church Zumba club and going to class with her gym friends. Mona left this world on Monday, November 19th after living a full 69 years of life. Mona leaves a rich legacy to cherish her memory. Her beautiful children, Erica Waller, Victoria Greene (Leon), Mary Elizabeth Brockington (Christopher Sr.) Cathleen Meredith and Clematee Meredith III. Her pride and joy, her grandbabies, Christopher Jr, Meredith and Ethan Brockington, Hayden and baby Hudson Greene. Her two loving sisters, Lisa Muhammad and Cecil Nicholson (Frank). Her aunt Hughletta Bryant. Her sisters-in-law, Marilyn Jean Taylor and Rev. Marcia Meredith and brother-in-law, Maury Meredith (Denise). 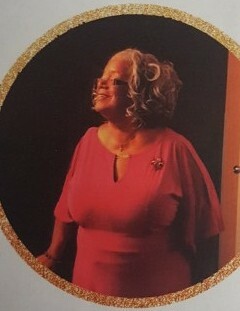 Her lifelong sisterhood circle of friends, Elizabeth Spruill, Lanelle Brent, Stephanie Coleman Brooks, Sandra Pratt, Virginia Hayes, and Marion McDowell' She will also be remembered by a host of nieces, nephews, cousins, church family, colleagues, and friends.